The On Animals North American book tour is complete! 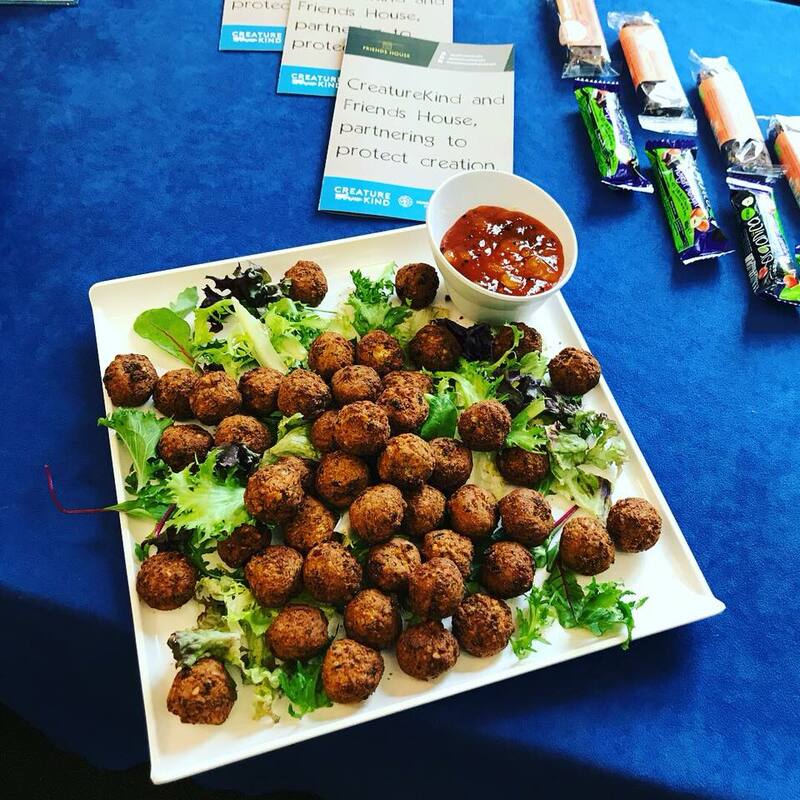 In numbers: 31 days, lectures and seminars at 21 venues, combined audience of over 1000, 9 institutional food policy meetings, well over 100 books distributed. I'm most grateful to hosts for the warm welcome received at each stop: Yale Divinity School, Boston University School of Theology, Harvard Divinity School, Harvard Law School, Christ Episcopal Church in Rockville MD, Georgetown University, Wesley Theological Seminary, University of Virginia, High Point University, Duke Divinity School, Wheaton College, Anabaptist Mennonite Biblical Seminary, Notre Dame University, Santa Clara University, Fuller Theological Seminary, Azusa Pacific University, University of San Diego, Regent College Vancouver, Vancouver Humane Society, and University of Victoria. Thanks too to Ilana Braverman for her expert coordination of the tour, and my CreatureKind co-director Sarah Withrow King who co-directed and accompanied. 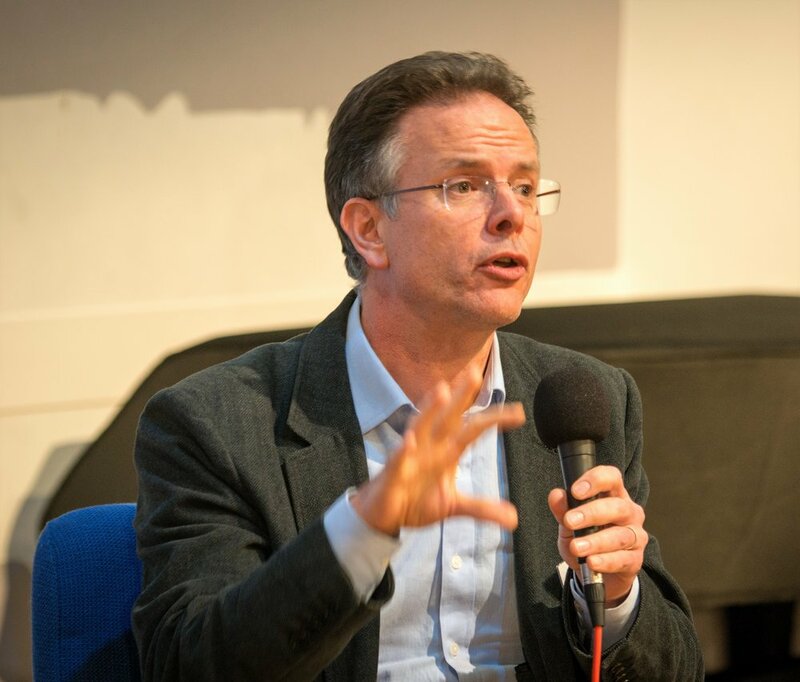 Remarkably, in every venue, across a very wide range of theological perspectives and convictions, audiences responded enthusiastically to the argument that Christians have strong faith-based reasons to reduce consumption of animal products and move to higher welfare sourcing, and showed willingness to make practical changes in response. This gives me a great deal of hope that CreatureKind can be successful in catalysing change so that it becomes routine for Christian institutions to attend to their consumption of animal products as a faith issue. If you know of institutions interested in getting help from CreatureKind to engage in this area, please get in touch. Excitingly, the positive response to this tour has helped confirm plans for a follow-up speaking tour of Australia and New Zealand in June 2019, which will take me to Brisbane, Auckland, Dunedin, Wellington, Melbourne, Canberra, Sydney, and possibly Hobart. If you live in Australia or New Zealand and would like to assist with book tour events there (set-up, sign-up, book donations), please send us a message with the subject line: Book Tour Help. If you're interested in seeing or sharing the lecture, here’s the recording from Notre Dame. Please do share widely! CreatureKind spent the latter part of December and the first week of January on the road, exhibiting and talking to attendees of Intervarsity’s Urbana Missions Conference and the Society of Christian Ethics annual meeting (held in conjunction with the Society of Jewish Ethics and the Society for the Study of Muslim Ethics). 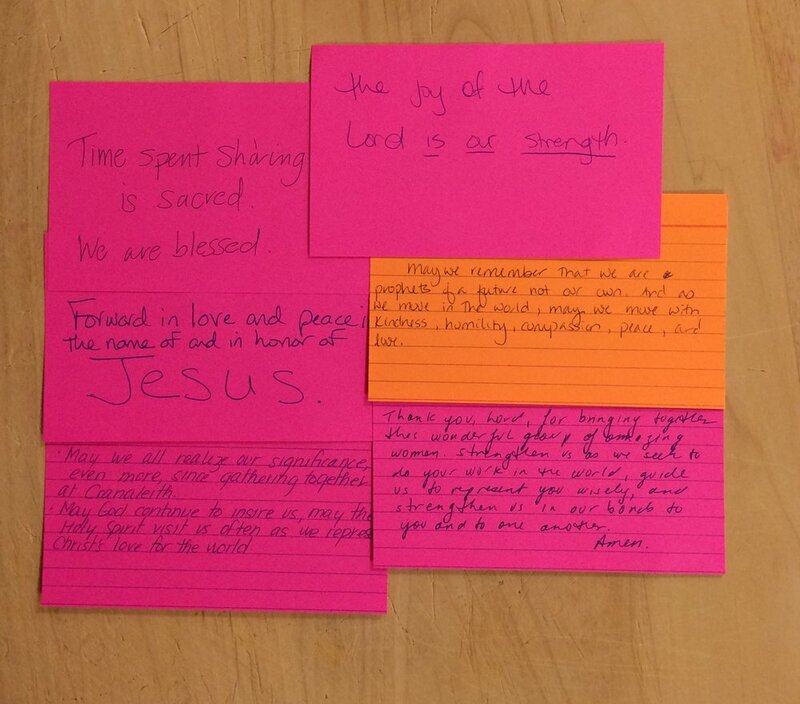 At Urbana, we spoke with hundreds of college students, the vast majority of whom had never thought about the connection between faith and animals. 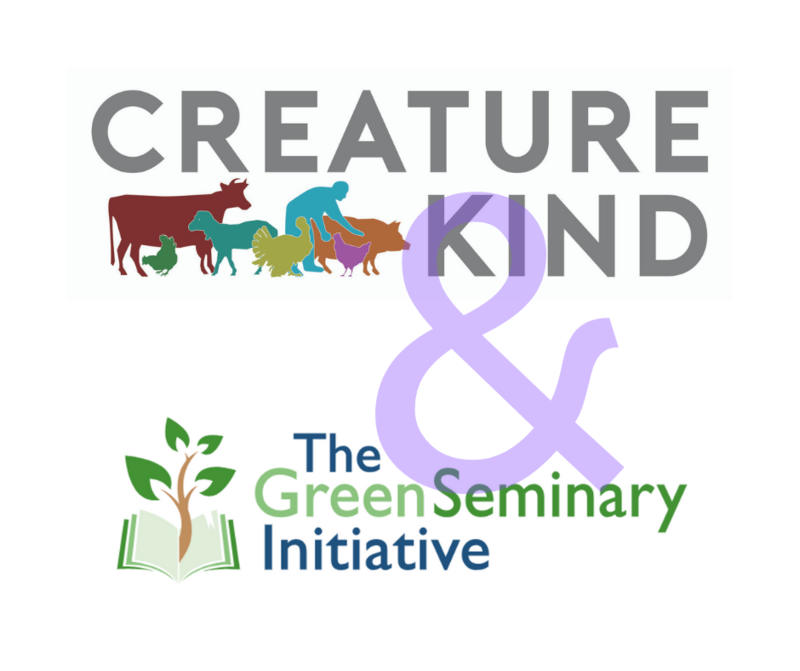 Throughout the event, it was clear that there is a profound need for CreatureKind’s work to encourage Christians to recognize faith-based reasons for caring about the wellbeing of fellow animal creatures used for food, and to take practical action in response. In addition to our table at SCE, where professors could talk with us about our institutional food policy program, CreatureKind held our annual reception (we hosted around 30 people this year, our biggest event to date). David Clough gave a paper called, “Eating More Peaceable: Christianity and Veganism.” And we attended a panel on “Christians and Other Animals: Book Symposium on David Clough's On Animals, Vol II: Theological Ethics (2018), during which Maria Teresa Davila, Eric Gregory, Jennifer Herdt, and Darryl Trimiew offered their responses to David’s new volume. If you are sad that you couldn’t be there in person for this incredible panel discussion, have no fear! The Syndicate Network will be releasing the papers, David’s response, and an introduction by CreatureKind North American Advisory Council member Candace Laughinghouse. Sign up here to stay in the loop. And be sure to check out David’s upcoming North American book tour dates.